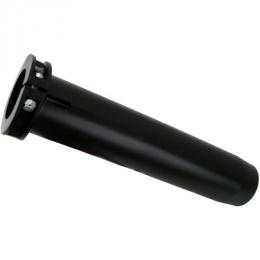 Protect your oars with Molded Oar Sleeves. Made from tough, injection-molded polyethylene with an inside diameter of 1 7/8" to fit over Cataract and Carlisle oar shafts. Oar Sleeves protect the shafts of your oars from abrasion and fit nicely in open oar locks. They clamp securely to the oar shaft with a threaded bolt and nut. Oar Rights and Convertible Oar Rights fit over the Oar Sleeves for positive blade orientation. If you're not using Oar Rights, add Plastic Oar Stoppers to hold the oar in place against the oarlock.